Last weekend I ventured out to Hawthorne, NV as part of an annual pilgrimage with my friends from B.A.R.F. This was my first time going out to the desert and although I had a great time with my friends, the longest ride I've ever done in a day wrecked my back. My friend Kurt routed this for us and it was certainly an incredible way to get there, instead of the boring highway routes. Highway 89 Monitor Pass (perfect, twisty, amazingly paved to 395) See my ride report from last year to see pics from this road. Huge thanks to Kriega for letting me use their universal fit packs for this trip. And to BMW Motorcycles of San Francisco for having them in stock! For more info about these packs, click here. I also went the fastest I've ever ridden in a straight line wearing my Schuberth helmet. Once again, it impressed me with it's wind resistance and comfort at 80+mph. 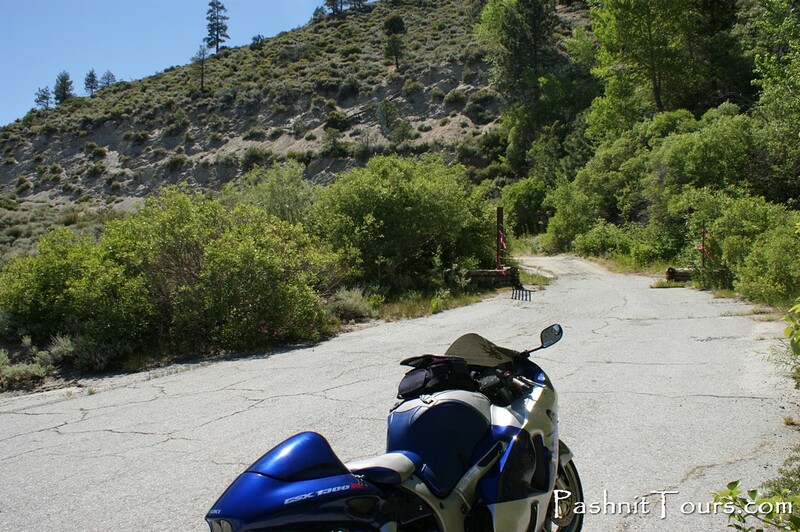 Last weekend, I took my very first solo weekend trip on my motorcycle to meet with the organizers of the Lake Tahoe Adventure Motorcycle Rendezvous. The rendezvous is taking place in August, from the 23rd to the 26th. I was one of about 9-10 people in the motorcycle community invited that weekend and I had no idea what to expect. It ended up being one of the best riding weekends I've ever had in the 9 years I've been riding. I grew up going to Tahoe in the winter, skiing since I could I stand. I don't know why it took me this long to figure out that going there in the summer is a fantastic vacation spot. You feel like you're so far away, but you're really only 4 hours from home. The lake is so beautiful and relaxing (pics below), you can't help but stare at it and immediately feel the stress and tension leave your body. I was really sad to leave, but excited that I got the chance to spend some time there, albeit short. I took the boring way there (80 East to 50 East), but for me, I had fun the entire time! My first solo overnight adventure. I'd always taken trips with my husband for anything extended but this time, I couldn't bring him with me. I didn't want to arrive late or rush getting there, so I took my time and left early, around 11am. It's typically a 4 hour drive in the car, so figured 6 hours if I stopped for lunch and couple of breaks. I left on Friday morning and my first stop was lunch in Sacramento off 80 East. The traffic was really light so it only took me an hour and a half to get there. A little protein and some veggies and I was good to go. The weather was a little warm once I got there, but it wasn't that bad. I wore my Ignition 2 and Gear 2 outfit for the weekend, which worked well for the varying temperatures. A quick stop for gas and I was on my way. I usually average about 60 mph on the freeway, especially in the flats. From 80 East, you take the 50 South Lake Tahoe exit, which takes you directly to guess where? South Lake Tahoe. It's the easiest route there. The road doesn't get very fun until you reach Placerville. Then you start to climb the Sierras and ride along the mountains, twisting and turning (lots of medium and large sweepers) until you get to downtown. As soon as I could see the lake, I had to pull over and take a pic. I can feel the relaxation coming! My gracious hosts put me in the Tahoe Lakeshore Lodge, the only hotel with a view of the lake from every room. Ahhh. Not only did they have a spa complete with massage packages, but also a lovely pool for the kiddos on site (right below the sand). They also have condos with kitchens and bbqs outside for larger groups/families. My room was clean and comfy with an excellent view. One thing I'm always worried about are hotels that aren't non smoking. Thank goodness I was on the CA side! Smoking, especially early in the morning makes me nauseous. That evening, I met up with everyone at a really good restaurant at the Latin Soul Restaurant over at the Lakeside Inn and Casino. The food was surprisingly delicious even with the smoky ambiance. In the morning we rose nice and early to meet for breakfast at 8 at the Red Hut Cafe, a great little breakfast diner that also had a classic ice cream fountain. Carla King and I were the only women that weekend, so we did our best to balance out the testosterone. Lucky guys! Unfortunately, my morning started out with a flat tire. Thanks Carla, for recording this momentous occasion. :) Instead of plugging it, I decided to slime it since it was more like a slight tear/divot vs. a nail or something that was pluggable. Lucky for me, I found the last bottle of slime at OReillys Auto. In order to insert the slime, you have to first remove the valve stem. I believe you need a special tool to take it out and luckily one of my comrades had one to do this. Air starts to spill out and then you just attach the slime tube to the stem and start squeezing the tube. Just a few spins of the tire and the slime gets distributed all over the inside of the tube. If you need to use the slime, you don't want to just let your bike sit there without going for a ride to make sure the slime covers everything. I hate getting my hands dirty, so I always keep a pair of latex gloves handy under my seat. $0.75 into the air/water machine at the gas station and I was able to get her pumped back up and ready to ride. After a brief detour, we were on our way, south on Hwy 50 to 89 South. Our first stop, the west fork along the Carson River. The area reminded me a little bit of Yosemite valley. Someone ordered up the perfect temps and it was with us all weekend. Next stop along Hwy 89, a cute little town called Markleeville. Carl (our host!) and Mike our ride captain take a break at what used to be the old gas station. Motorcycles, always making up our own rules. Although my fellow motorcyclists mostly rode a mix of standard adventure bikes; KLRs, BMWs, Triumph Tigers and KTMs, Tim from Pashnit and I had our trusty sportbikes to tackle the pavement. I thought this weekend might have too many off road sensibilities, but I was assured by my hosts that there would be plenty of pavement to go around and no need to ride a different kind of motorcycle up there. No need to worry, for now. After a brief rest, it was onward to the top of Monitor Pass, along Hwy 89 before 395. This section of road was one of the most pristine, well paved, non tourist driven roads I've ever been on. A nice mix of twisties and sweepers in a beautiful canyon, to the top of one of the highest points in the Sierra Nevada. It's closed in the winter, because of snow but during the summer, it's open for anyone to ride, drive or bicycle. The views were outstanding and the roads were perfect. It reminded me a lot of Mines Road out in Livermore, except that the roads are well paved the entire way, there aren't any suicidal one lane roads and hardly any traffic. I did my best to take some pics on the bike, but my riding while shooting skills leave a lot to be desired. My on board camera photos seem to be getting better. I forgot the GoPro at home, so these were taken with my G12 strapped to my tankbag. The flip around screen on that thing is what sold me. I love the ability to swivel or pivot the screen and take pics at different angles. A quick picture to capture that delicious road and then onward to lunch! Walker Burger was right along 395 south of Topaz, before the 108/395 junction. What a great find! Tasty burgers, shakes, fries and even some ice cream on their menu. There isn't much else around 395, so it was the perfect lunch stop. After lunch, we headed home the sort of boring route, up 395 to get back to our hotels and what not with plenty of time to relax and clean up before dinner. I think a good alternate would've been to go back the way we came. We left the gas station in Meyers at 10 or so, so it wasn't a really long route, but a good way to go if you want to stop a few times, take scenic photos, stop for lunch and then head back. We did however, stop and take a quick detour to get back to 50. I present to you, the infamous Kingsbury Grade (Hwy 207 West). I wasn't sure what to expect from this, as my friend Mike told me that it would be a mostly paved road with some broken pavement. Ok, I can handle that. No problem. It looked a little ominous from the bottom but I thought, it can't be that bad, right? Yeah, right! Ok, it wasn't an off road trail. There were lots of chunks of pavement, gravel and dirt/sand. I almost wiped out several times, my front tire losing traction and wiggling angrily beneath me. I don't know how, but I managed to make it all the way up without falling! My new friends were very happy that I made it thru without incident and impressed that I did so well. Hell, so was I. I totally expected to eat it at every corner. We finally made it to the top, sort of. Unfortunately, the way out meant I had to go a little further and risk it just a little bit more. At this point, I just felt resigned to the idea of falling down. I figured that if I bit it, then at least I have friends behind me to help pick me up. What you don't see in the next photo is that beyond the curve (and beyond that long patch of dirt), a nice 2-3 foot mound of sand awaits! I do love sand when there's a body of water involved, but not in the way of my motorbike. I had no idea how to ride uphill through a pile of dirt like that, so I just opened the throttle and hoped for the best. Once again, the motorcycle gods were smiling down on me because I had a major front tire wiggle and saw the pavement flash before my eyes. Again, my bike righted itself and rode right through without incident. Maybe I could just add some knobby tires to it and turn it into a dual sport? :) I really wished I had something more useful in this environment, like a KLR or a KTM, but I didn't need it. I did just fine with what I had. It was a little more stressful than fun, but I could see having a blast on something a little more friendly for the dirt. After conquering this road, I definitely foresee a dual sport in my future. I don't know how soon, but I think I definitely want one someday in addition to a sportbike. After a long day, we finally headed back to our hotels to relax a bit before dinner that evening at the Riva Grill on the Lake. The view was beautiful, the food was outstanding and of course, I was in great company. What a perfect way to end a great day of riding! Unfortunately Day 2 would be a shorter ride since many of us were leaving that afternoon. We headed North on 89 up the West side of the lake and stopped at the historic Tallac Estates. They belonged to 3 wealthy families that spent summer vacations there from 1894 to the early 70s. The area reminded me of being on the East Coast, with a beautiful view of the lake. It's a national park, so anyone can visit for the day and take a stroll along the lake. You can't stay there anymore as far as lodging, but the estates are frequently used for private and public events. Something about this place was so beautiful, so cool. It made me want to rent a cabin or house on the lake and spend a week there, soaking up sun and enjoying the view. After the estates, off we went to Emerald Bay. The road around the lake wasn't crowded, except when we got to some traffic lights in a couple of the small towns. But even then, it was fairly light and not a lot of waiting in traffic. You're never going faster than 45mph or so, the scenery is fantastic and there's a few gas stops, restaurants, motels and other shops along the way. We passed some beautiful rental properties too, so I imagine there are a lot of options for summer vacations. It just made me yearn even more for a vacation! Aggggggh. I think this next stop is Glenbrook Bay, but I can't remember exactly. All I know is it was one of my favorite and most beautiful spots I visited all weekend. Alas, this was the last stop before heading home. I plan on going back to Tahoe in July for the AMA Conference and then August for the Rendezvous. I also want to go back for a short vacation with my hubby. We're long overdue for one and this place is right in our backyard. So much to do in one place, great roads and relaxing scenery. If you don't like casinos/hotels, then stay on the East or North side of the lake for a more remote, relaxed vacation. I think there's something for everyone, on 2 wheels or 4. I met some really nice people and I can't wait to see them next month at the Rendezvous. If you love to ride, then you'll love this event. Hope to see you there. Huge thanks to my wonderful hosts from the Tahoe Adventure Ride and the Lake Tahoe Visitors Authority!